There are so many cookies in the known universe. from the classics, to ethnic cookies we might not be familiar with, to new and innovative creations. So many cookies waiting to be made. So when I see a new cookie book, I'm always curious if there will be something new, or an interesting twist on a classic cookie that I haven't seen before. When I browsed through Cookie Love, the first cookies that caught my eye were the Brownie Krinkles. They look a lot like a cookie that I've know for many years - but the recipe isn't the same. These are a more grown-up and modern version- more fudgy and less sweet. Ginger Sorghum Cookies are interesting. I've never worked with sorghum before, but Segal described it as being "lighter than molasses, with a more rounded sweetness." I like the sound of that, so I'll be looking for sorghum when I'm shopping. S Cookies are on my shortlist to try next. Segal says her grandmother used to make a similar cookie, but this dough is different. At the same time, she says it echoes the simplicity of the cookies she grew up with. There's a huge range of cookies including twice-baked cookies like biscotti, bar cookies, drop cookies, and spritz cookies. There are even some sauces. And there's even a recipe for dog cookies for your four-footed friends. Photo style is of the messy variety, with crumbs, spills, splotches and smears. I was a little surprised at the photos of the Cocoa Nib Hot Fudge Rugelach and the Cinnamon Brickle Rugelach, since those photos show cookies on their cookie sheets with the filling oozing out of the cookies - but that's what they're supposed to do. Good to know, because I wouldn't expect quite that much oozing, and if that happened in my oven, I'd probably think I did something wrong. But now I know it's perfectly fine. 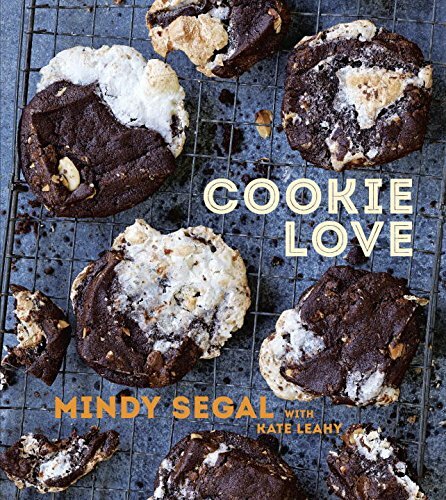 I'm looking forward to making more cookies from this book - and as usual, you'll probably see a recipe later on Cookistry.